UPDATED: Mon., April 2, 2018, 3:34 p.m.
NORRISTOWN, Pa. – Prosecutors and the defense began the difficult task of picking a jury for Bill Cosby’s sexual assault retrial Monday amid a powerful #MeToo movement that has pierced the consciousness of the men and women who will sit in judgment of the 80-year-old comedian. 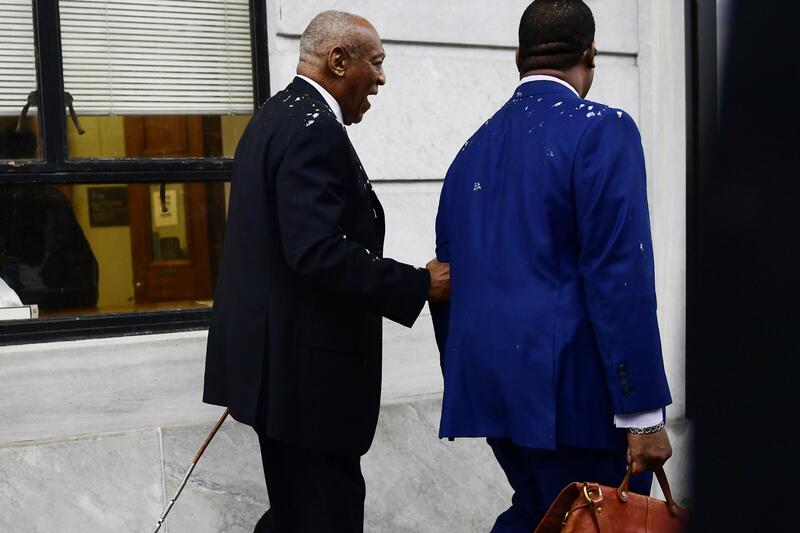 Jury selection got off to an exceedingly slow start, with a single juror seated and three-quarters of the pool dismissed for cause – primarily because the prospective jurors already had formed an opinion about Cosby’s guilt or innocence. In contrast, five jurors were picked on opening day of Cosby’s first trial. Judge Steven O’Neill made several rulings in the case but said they wouldn’t be public until Tuesday morning. Among the key issues that need to be sorted out before opening statements is a defense request to allow testimony from a woman who says Constand spoke of framing a celebrity before she went to police with allegations Cosby drugged and molested her. Veteran lawyers and jury consultants say (hash)MeToo could cut both ways for Cosby, making some potential jurors more hostile and others more likely to think men are being unfairly accused. Published: April 2, 2018, 8:30 a.m. Updated: April 2, 2018, 3:34 p.m.